Wonderful running and driving 1st year Nomad! Nice finished in factory colors of Regal Turquoise and India Ivory with matching correct upholstery. Glass and Weather Striping is in Great Condition. 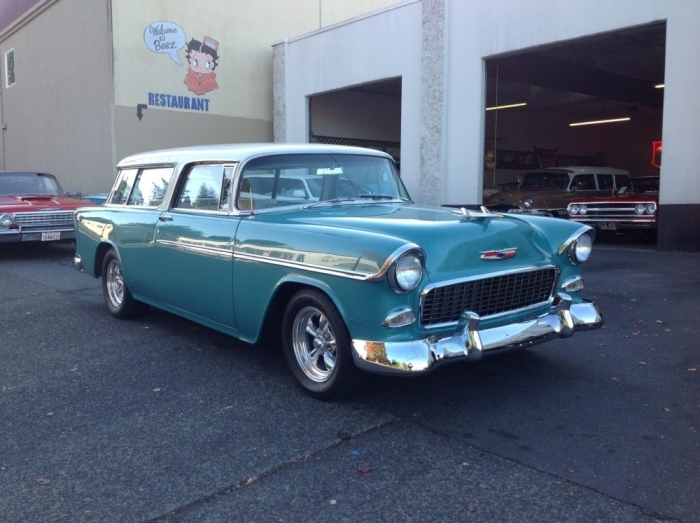 A real nice Nomad ready for Cruising!